Bollywoodâ€™s leading lady Deepika Padukone achieves yet another feat as she emerged as the first woman to carve a place for herself in the top five of the Forbes Celebrity 100. Ranking on number 4, Deepika Padukone bags a place in the top five of the richest Indian Celeb list. 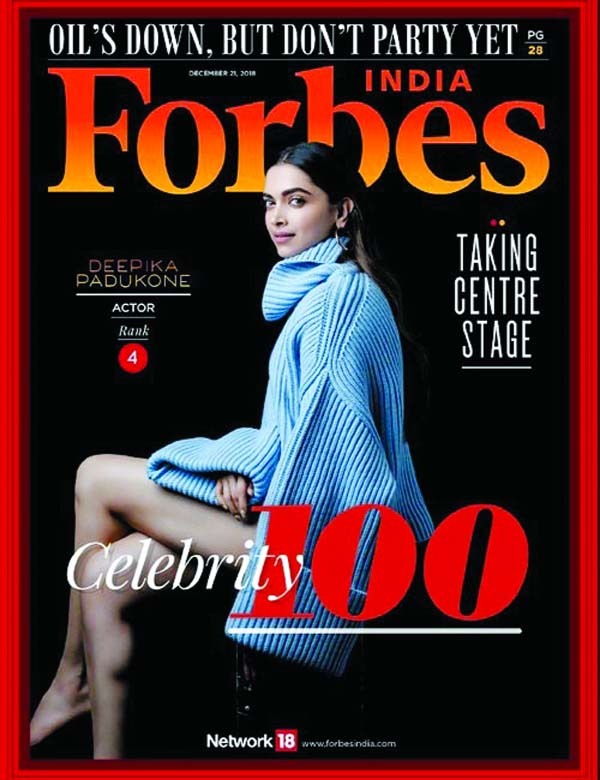 Deepika Padukone graced the cover of Forbes India as the magazine unveiled the list for the year. Deepika Padukone not only won hearts of the audience with her award-winning performance in Padmaavat, but also emerged as the first actress to headline a 300 crore film.